Pigmented ink print on mould-made, 100% cotton Somerset paper. Annotated by hand in black Indian ink. ‘The tragic ironies of the Somme (its opening day most of all) continue to cast their spell. Visiting the scene of the battle today, one discovers the ironies persist: where once witnessed the start of the greatest battle in history and the greatest human suffering our country has ever known, one now finds an empty landscape of mature deciduous woodland and quiet rolling farmland. Only the cemeteries and memorials betray the history of these unassuming ‘foreign fields’. The origin of the ZERO HOUR PANORAMAS lay with my discovery some years ago of the battlefield panoramas created for strategic purposes by the military of the time. Annotated by hand with the landmarks of the German positions (invariably christened by the British soldiers themselves), they were used to give officers a panoramic field of view of the battlefield from the safety of their dugouts. The finished panorama included the location of the photographer, the date, the total field of view in degrees, the direction the camera was facing and a scale of degrees to inches. They were also, like almost all practical documents of the time, very handsome. My discovery gave me the idea of borrowing their approach as a device to juxtapose the benevolent-looking now with the doom-laden then. Where now are rich fields of corn we can see were once German trenches. Where now stretch the wire fences of a French smallholder’s enclosure once stretched the barbed wire of the German front line. Where now are grazing cows were once German machine gun positions – the same machine guns responsible for so many of the crosses and graves that appear in the photographs. Overlaying the authentic official military stamps and annotations (exactly – and as accurately – as they might have been set out by the Royal Engineers of the eve of the battle) also allowed the explanation of the picture to be part of the picture. If you look at each picture closely enough, it reveals (as well as authentic, technical information) when it was taken, where it was taken from and therefore why it was taken. There was a pathos too, it occurred to me, in that the ordinary soldiers, whom for so many the view displayed in the panoramas was their last sight on earth, would have had no access to the information revealed by the military panoramas of the time. What we ourselves can see now in the panoramas, they were ignorant of. There is also something affecting in the names that we can see the ordinary British soldiers gave their own and the enemy positions: Gin Alley, Sausage and Mash Valley, Whiskey and Soda Trench etc – in front of Hawthorn Ridge, we see that one battalion (that would lose 90% of its number that morning) advanced from a trench they had christened Happy Valley. Looked at from the other perspective, it could be said that the panoramas tell an optimistic and redemptive story. The horrors of war have been replaced by the healing powers of nature. The soldiers who inhabited the world of the annotations (many of whom thought quite literally that the war would never end) might be consoled to see that the world has moved on and that their sacrifice is still honoured, that wooden benches for tourists now stand on the site of the great mine craters and that the only killing is dispensed by insecticide from the back of a farmer’s tractor. The creation of the panoramas has taken two years of development and research and over a dozen trips to the battlefield. Using both the original military maps of the time and the first-hand testimony of soldiers who were there – together with the incredibly generous help of experts in the German defences – I have tried to make the substance of the annotations (the positions, distances and military map references) as accurate as possible. The greatest challenge was choosing the points from which the photographs were taken – points that were at once strictly faithful to history, that would allow the best composition for the photographs and that would tell a comprehensive story of the battle. I got to know the 15-mile battlefront pretty well. I must add that I find these panoramas both fascinating and moving and to me they are a perfect remembrance of terrible events and we can only hope that peace will prevail and the lives lost were not given up in vain. There is an accompanying book which I warmly recommend to you – it deserves to be a best seller! Today marks the centenary of the only major naval battle of World War One – ‘Der Tag’. Some two hundred and seventy nine ships were involved in the Battle of Jutland on the 31st May 1916 and it was a fight that resulted in no clear victory but saw serious losses of ships and the loss of more than eight thousand five hundred lives. This fascinating, but sobering, exhibition has been brought together with the help of the grandson of Admiral Sir John Jellicoe, the commander of the British Grand Fleet. Through photographs, ship models, paintings, medals and film the visitor sees the battle in context and the impact of its aftermath. Imperial German Naval Ensign from SMS ‘Moltke’ 1912 that was present at Jutland. For example the 14ft long shipbuilder’s model of HMS Queen Mary, which was one of the largest British battle cruisers in the fight was destroyed by enemy fire and out of its 1,266 strong crew only 18 survived. British Naval Ensign used as a battle ensign by HMS ‘Chester’ 1915 at the Battle of Jutland 31 May 1916. On a more cheerful note I met the grandson of Marcus Bailey, a West Indian, who had served on HMS Chester, and despite the ship being hit by 17 shells, wounding and killing 78 men, he survived. Visitors will see Bailey’s image thanks to the photograph his grandson loaned to the exhibition. 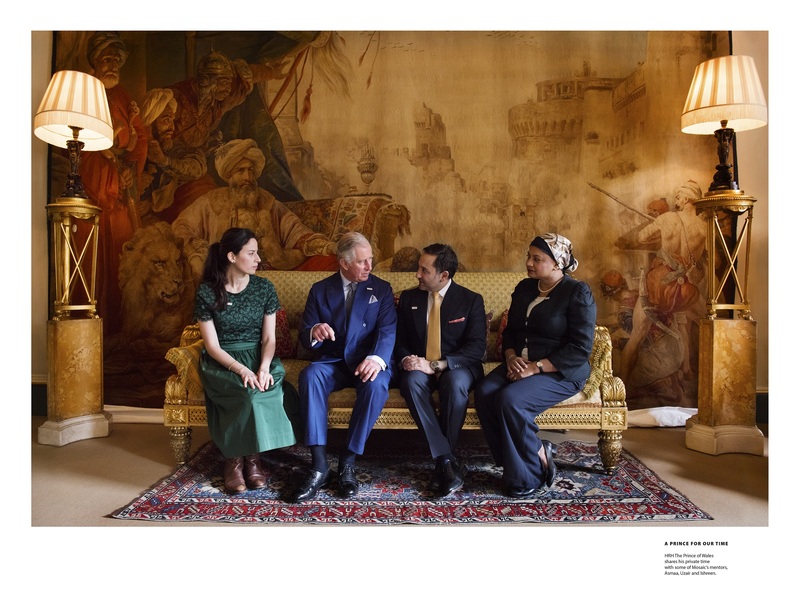 The Prince of Wales at Clarence House with Asmaa Georgiou, CEO of the Yusuf Islam Foundation and Mosaic mentor; Uzair Bawany, Mosaic Board member and mentor at Brondesbury College in London; and Ishreen Bradley, also a Mosaic mentor at Brondesbury College. Brondesbury College is also a part of the Yusuf Islam Foundation network of schools. This exhibition is a reminder that Muslims have been an integrated part of British life for over a century now as the image below reminds us. All the images in the exhibition are by the noted photographer Peter Sanders who has captured a wide variety of subjects, including: physicians, scholars, writers, teachers, calligraphers, rock and folk-rock icons, a city councillor, an award-winning architect, a publisher, a sculptor, a graffiti artist, a cosmetician, a police constable, a fashion designer, a driver, Etonians, Oxbridgians, and many others as well. All amply proving the point this timely exhibition makes. “In 2000 I had photographed HRH Prince of Wales when he visited Islamia School. Never hurried, the Prince spent time with the children, making his visit a memorable experience for all. Mosaic is a mentoring initiative which the Prince created in 2007 to help young people of all backgrounds coming from very deprived communities. For those of you who went along to see this great exhibition at the Morley Gallery (see my blog of 22nd September) there is now a chance to acquire some of the items that were on view. This rather special exhibition of bronze friezes by former jockey turned successful artist Philip Blacker is his interpretation of letters, poems, songs and books from the First World War. One of the specially remembered stories of the First World War is the Christmas Truce of 1914. 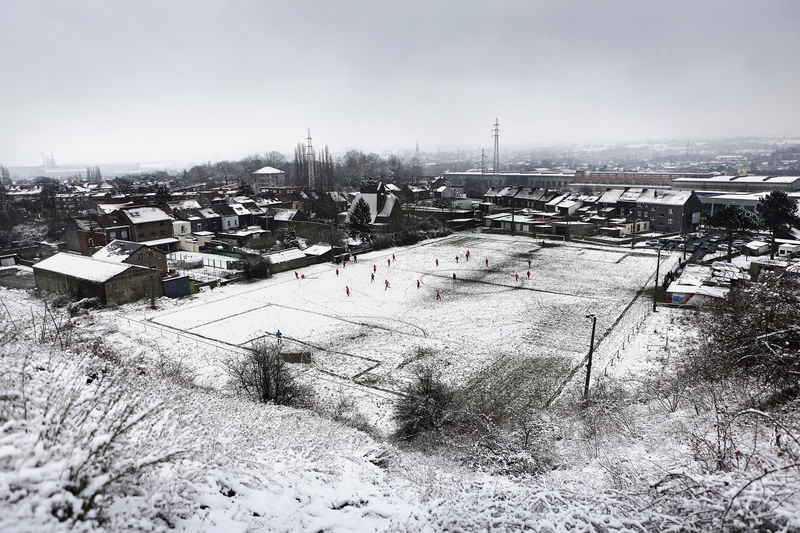 In the week before Christmas, German and British soldiers started to exchange songs and seasonal greetings and some football games between the opposing sides were arranged and played. These “peaceful” battles are commemorated in contemporary works (in various media) by artists from Belgium, France, Germany and the UK. Carbon pigment print and watercolour. 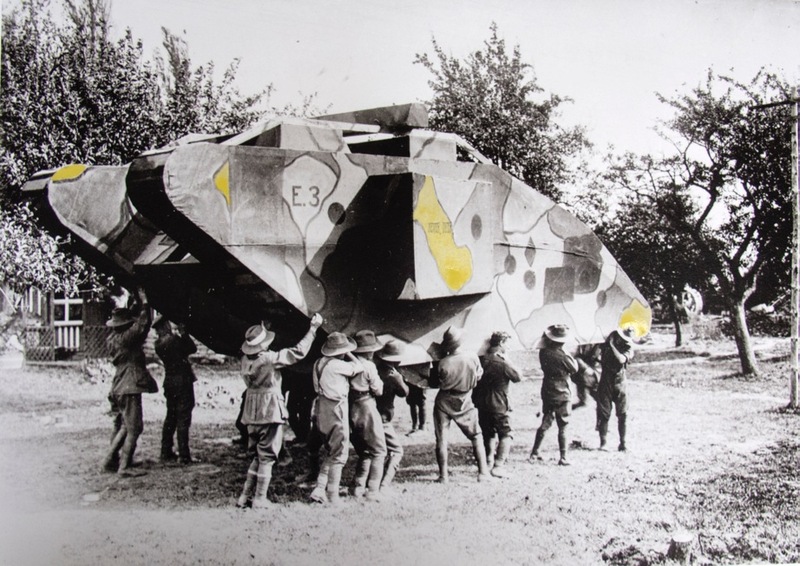 In this, her first solo UK show, Rä di Martino reflects her interest in the story of the “dummy tanks” in World War One through video and objects. She finds the mixture of reality and fiction fascinating, especially that pilots looked down on these fake tanks and were taken in. The show is an interesting fusion of the past and the contemporary, especially the footage of a real tank being driven through an Italian town. The specially commissioned video installation Undead Sun is the work of Jane and Louise Wilson, Turner Prize nominated artists, who have been working together since 1989. It marks the centenary of the First World War in an original way and looks at the technological advances, including optics, that were made because of the emergence of the new aerial warfare and surveillance, which in turn led to the greater use of camouflage and concealment. To emphasise this point the viewer’s sightline and movement are slightly restricted within the installation in which the film is viewed. 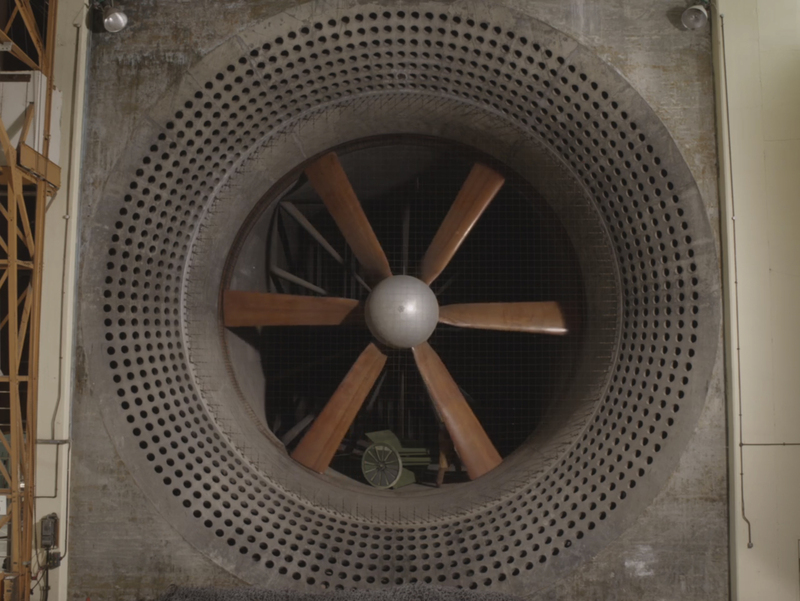 The main theme of planes and the air is underlined by the wooden “propellers” of the giant wind tunnel in which certain scenes are played out. 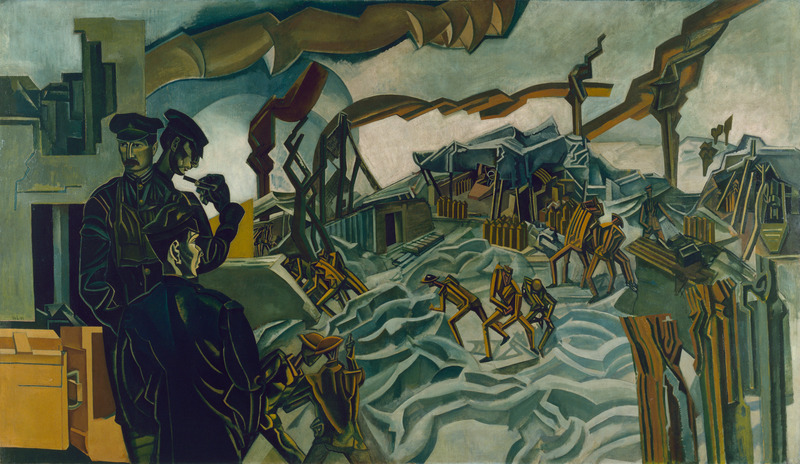 The figures depicted in these vignettes are dwarfed by the size of the wind tunnel and thus remind the viewer how the world was caught up in the larger-than-life forces that the war unleashed. 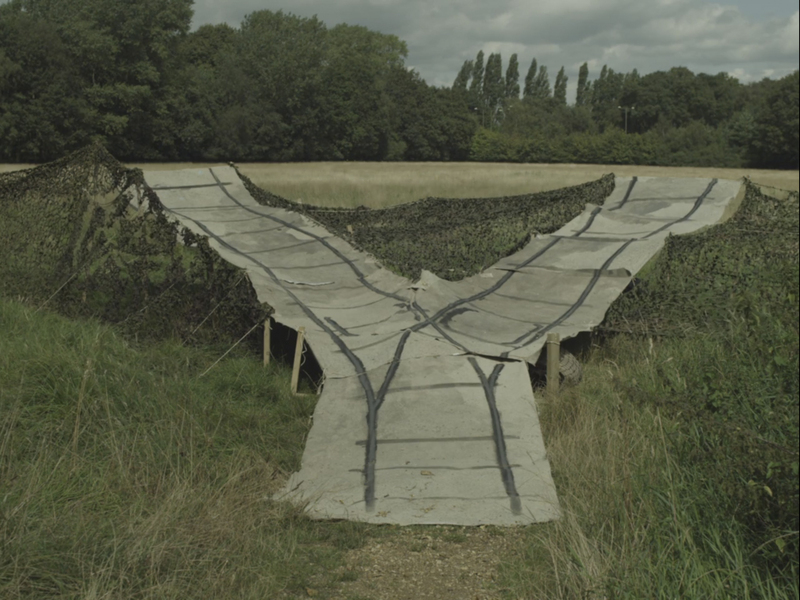 Many of the scenes are based on material in the Imperial War Museum’s archives such as the dummy tanks constructed to mislead aerial reconnaissance, or how a dead horse could be used as camouflage. One scene shows a man in uniform tearing it off until he is completely naked and is based on the story of how on a very cold night a conscientious objector was forced to put on the uniform in the hope he would change his mind. It is a thoroughly engrossing work! 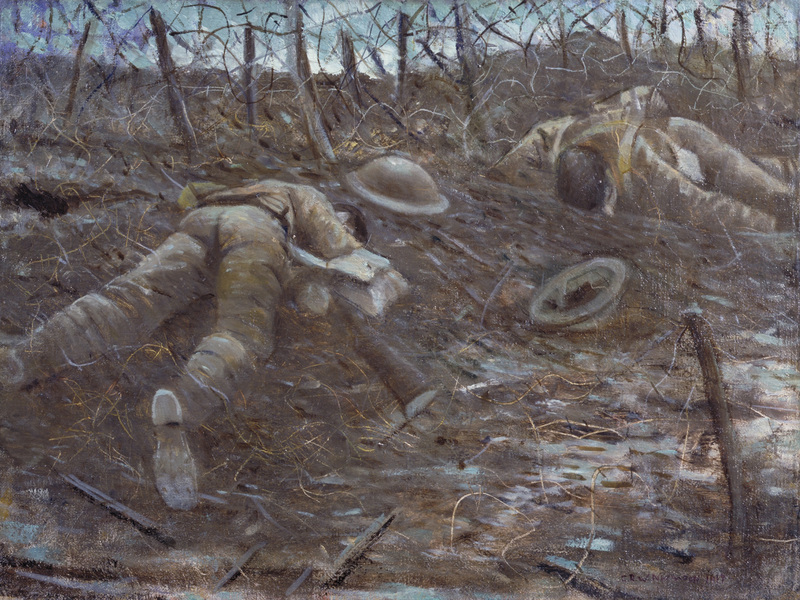 This is a major show of British First World War art and contains some iconic images by artists, including Paul Nash, Percy Wyndham Lewis, CRW Nevinson, Stanley Spencer, George Clausen and William Orpen. 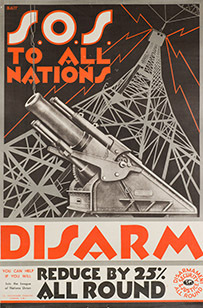 The First World War presented artists with a whole new concept of warfare and how to portray it. The Truth section consists of works by artists who had first-hands experience on the front line. Nevinson, for example, expresses his Futurist vision of what he saw and experienced. 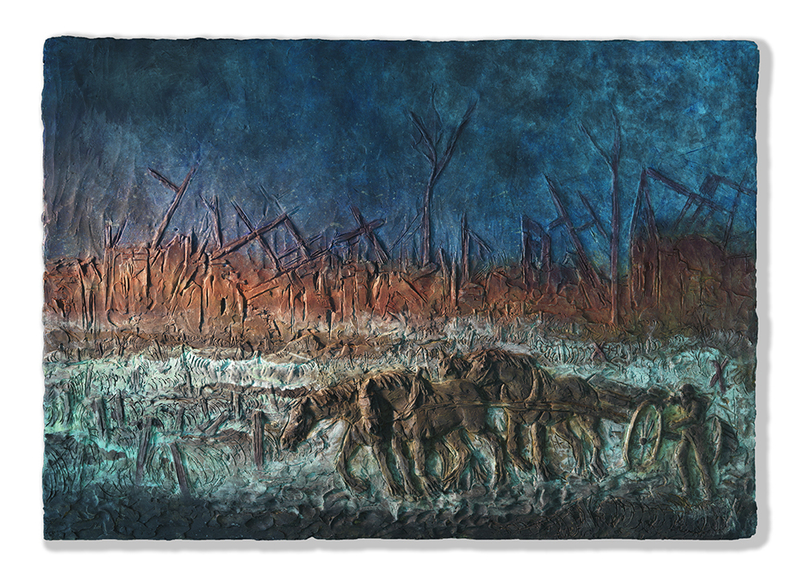 Memory combines works which were either official commissions or individual commemorations of the horror and tragedy of the First War or were meant as memorials to the loss and sacrifice of the fallen. Strangely enough I found this the more chilling part of this powerful, emotive exhibition. 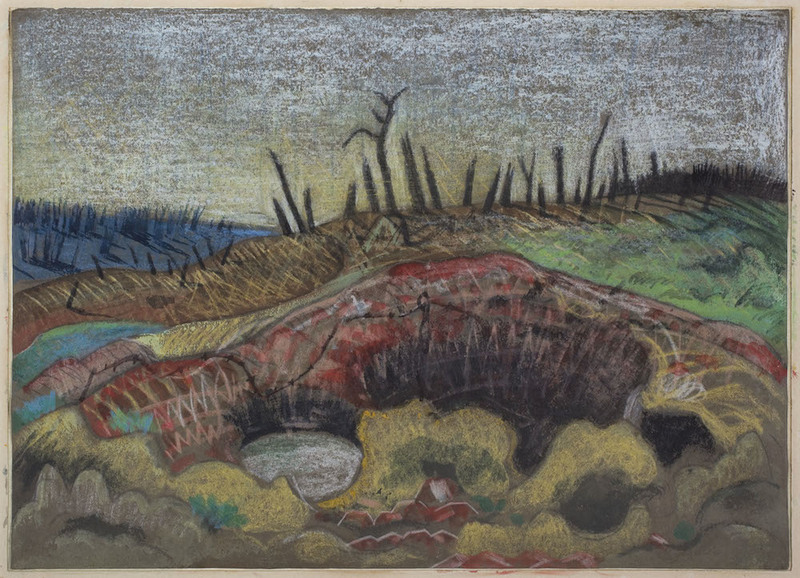 Thanks to an accidental fall into a trench when he was first sent to the Western Front in early 1917, Nash was sent back to the battlefields as a war artist. There he produced some of his great images, particularly in watercolour, a medium in which he was a master. It therefore comes as no surprise that he was a founder member of the Modern English Watercolour Society in 1923. 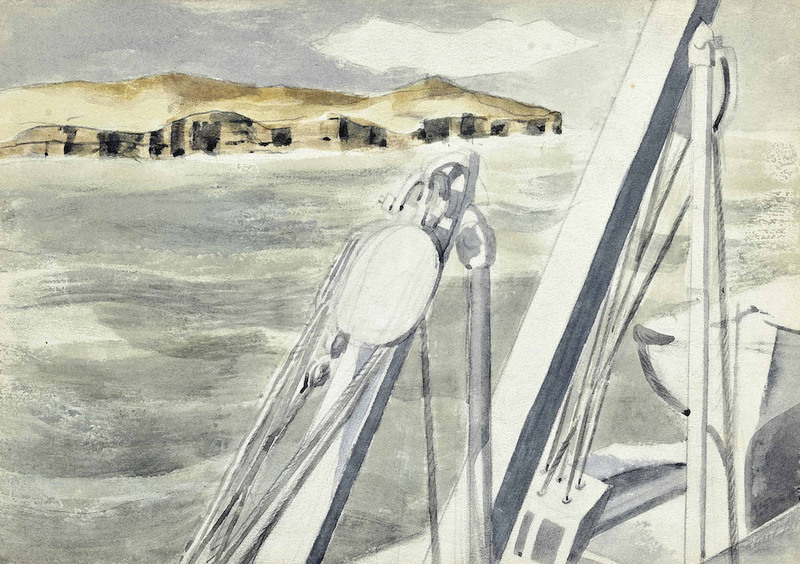 Coast of Spain (Near Gibraltar), c.1933. This very special exhibition, which covers Nash’s war and inter-war years, is drawn from private and public collections and allows us to see works that are not usually exhibited. Many of them are for sale. The accompanying hundred page fully illustrated catalogue (a must purchase) is written by Boyd Haycock and includes unpublished new research which he has garnered from the Tate Archives. Situated not far from the British Museum is the fascinating Cartoon Museum which shows British cartoons and comic art from the 18th century to the present. 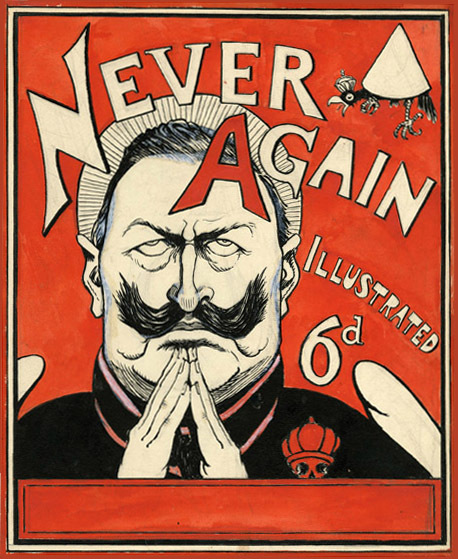 The current exhibition is devoted to the First World War and shows how British cartoonists were from the beginning involved in the propaganda war to bolster morale and lampoon the enemy. 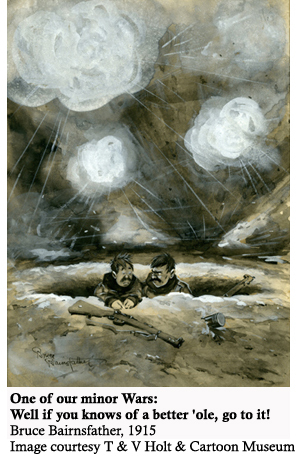 Probably the most well-liked cartoon of the war is Bruce Bairnsfather’s ‘Well, if you knows of a better ’ole, go to it’. 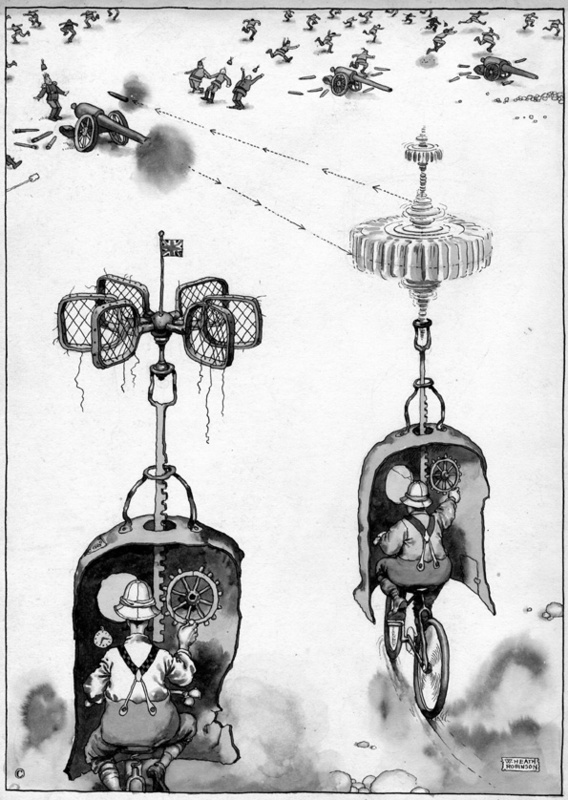 While he was criticised in Parliament for his work, Bairnsfather was highly popular with the troops. 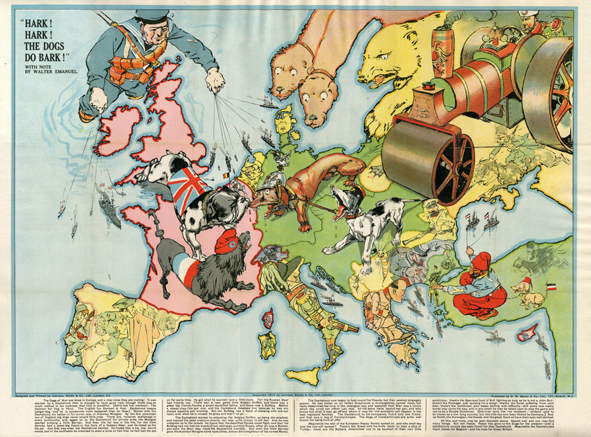 The three hundred or so images come from newspapers, magazines, comic postcards and children’s comics. There are also some French and German postcards and cartoons from trench publications which were actually produced by those serving. Some new commissions specially created for the show can be viewed too. The exhibition provides a wide- ranging insight to all facets of the war, including air raids, conscription, conscientious objectors and women’s war work. Some may find a few politically incorrect by today’s standards but many will bring a smile which is, of course, what they were meant to do. Never Again! G. R. Halkett, 1915, Cartoon Museum Collection. 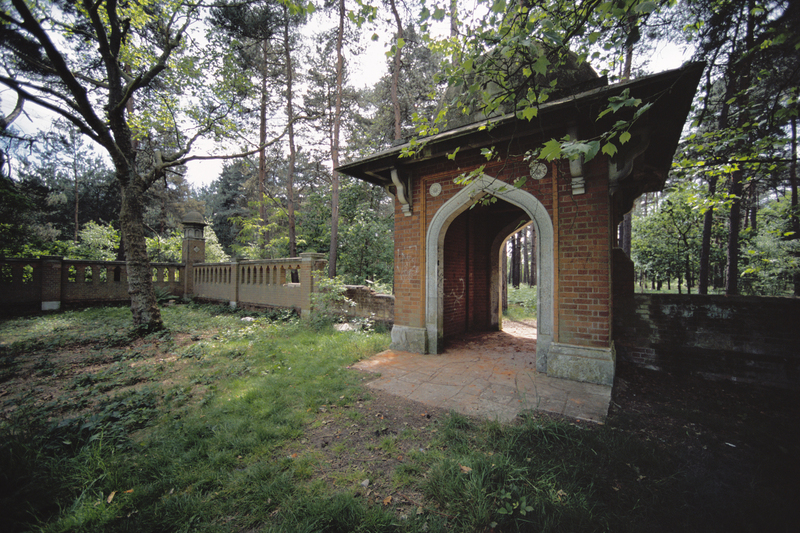 Donated by the ArtFund.